The History of European Photography (1900 – 2000) is an international research project spanning the whole of Europe. The project’s main aim is to publish an encyclopaedia in English (5000 copies per volume, about 600 pages per book), divided into three volumes / periods, volume 1 – 1900 – 1938, volume 2 – 1939-1970, volume 3 1971 – 2000. Each volume of the encyclopaedia will be organized alphabetically by country. A study on the history of photography in each country will be written by an expert on photography from that country. Alongside the main studies, each book will contain extensive additional material, biographies of mentioned photographers, and timetables marking cultural, socio-political and technical photographic events in each country for a given period. There will be two types of indices in each book: an index of mentioned photographers and an index of other historical names and subjects. The project is coordinated by Prof. Václav Macek, chairman of FOTOFO association, professor at the University of Performing Arts, Bratislava, and director of the Month of Photography festival, Bratislava. Past years, we have put together a team of 46 internationally well-known experts from 35 countries, such as Gerry Badger, Hans Michael Koetzle, Mark Tamisier, Vladimír Birgus, Jan-Erik Lundström (see below). Using this strategy, we can guarantee the ﬁrst class quality of our information. The first volume of the publication, including the period of time between 1900 – 1938 has been released at the end of 2011, and its Godfather became painter Rudolf Sikora. The 2nd volume (1939 – 1969) was released in 2014 and the third volume (1970 – 2000) in 2016. 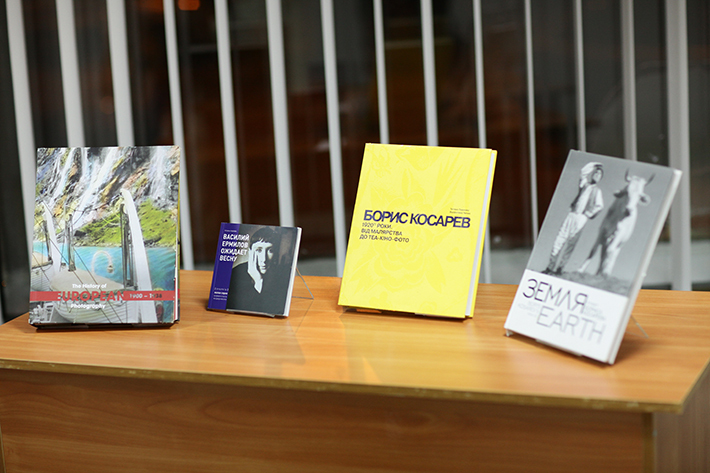 Distribution of each volume will be realized through our partners from the European Month of Photography network: Maison Europeene de la Photographie, Paris, Café-Crème, Luxembourgh, Kultur Projekte, Berlin, Vladimir und Estragon, Vienna, House of Photography in Budapest, Photon Association in Ljubljana. Distribution will also be secured by individual bookstores and photography centres all around Europe. The target group of the encyclopaedia ‚The History of 20 th Century European Photography‘ in English, the ﬁrst of its kind in the ﬁeld of photography, are not only experts and scholars in European photography, but also a broader public interested in art and photography. Furthermore, the book is meant to serve as a referential source for educational institutions, schools, libraries, public cultural institutions, galleries and museums. As the ﬁrst complex overview of European Photography in the 20th century, the encyclopaedia is a primary source in the study of photography. In the ﬁeld of science, the book presents the status quo of knowledge for each European country and as such it represents a basis for historians of photography and art in their research. In the commercial sphere, photography has been gaining still bigger popularity among a broad public which is reﬂected not only in auctions and sales but also in the market for exhibitions and publications on photography. Our primary goal is to ﬁll a gap in the theory of photography. While all existing publications on this topic focus only on leading countries in European photography, such as France, Great Britain or Germany, omitting more than half of the continent, we are offering a complete overview of photographic development in the 20th century, from Iceland to Russia and from Scandinavia to the Mediterranean. This three-volume publication will also pave the way for future scientiﬁc research and comparative studies on a pan-European level. on October 22, 2015 awarded the Romania's Crown Order, bestowed upon him by His Majesty King Michael I of Romania. 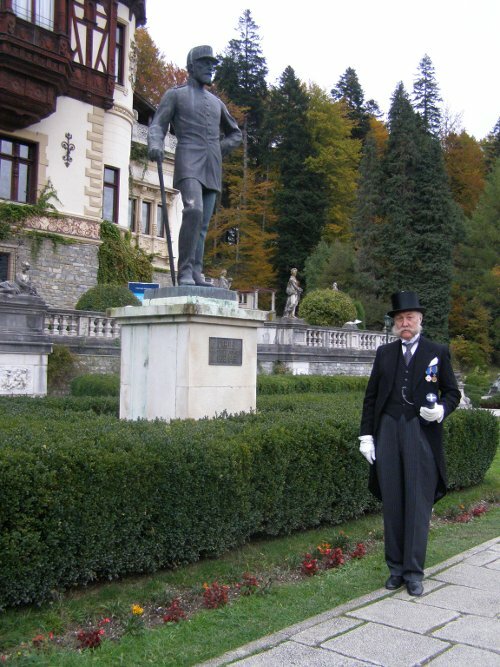 The ceremony took place at the Peles Castle, in Sinaia, the elegant royal summer residence in the Carpathian Mountains built by King Carol I between 1873 and 1914. The order was offered by H. R. H. Crown Princess Margareta of Romania. 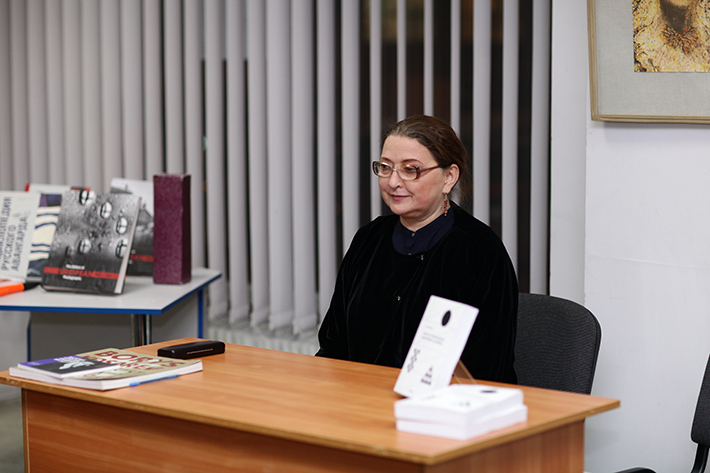 "Our colleague and the author of Ukrainian part in the History of European Photography books has celebrated her 60th Birthday by presenting all her publishing works including our "Big Book".. We thank Ms. Pavlova for her dedication in our project and we wish her all the best into the coming years, a lot of great pportunitiens and !"